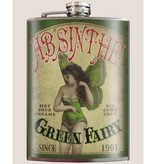 See the green fairy! 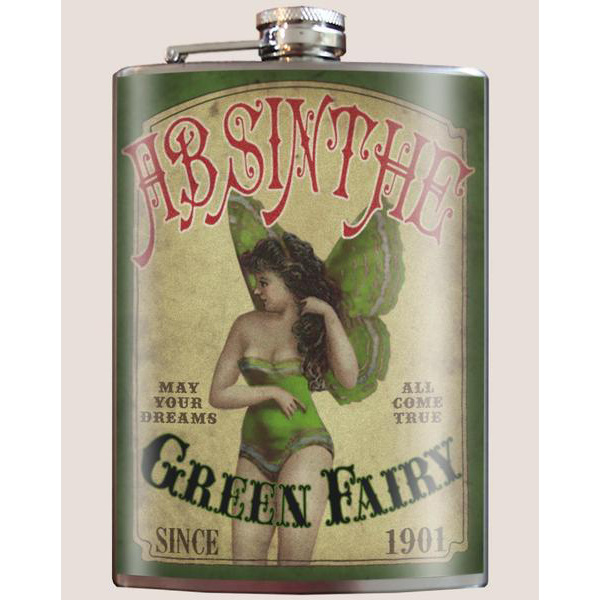 Drink with my "Green Fairy Absinthe" flask. We love those old Victorian Absinthe labels - so creepy and cool.